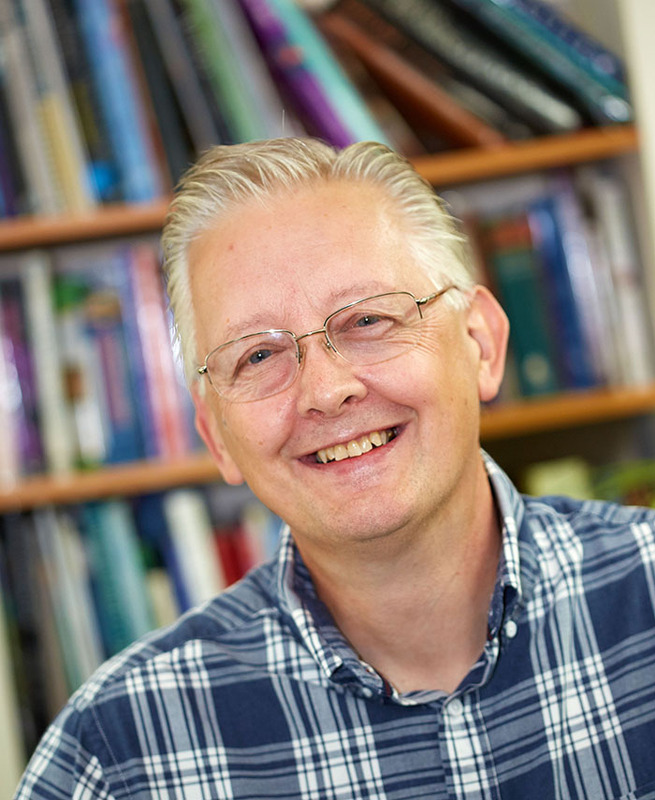 Paul joined Moorcroft in 1999 as a painter. For many years, he entered pieces he had designed for the annual Moorcroft Staff design competition, and his winning designs were chosen to be made for the Open Weekend auction, held at the Heritage Visitor Centre, in late May each year. Following this auction design success, his first limited edition design for Moorcroft was Snowdrift, a wintery scene with snowdrops bending their heads towards the snowy ground. In 2008, Paul’s design Adornment, became his first Moorcroft catalogue limited edition, featuring jet black swans. 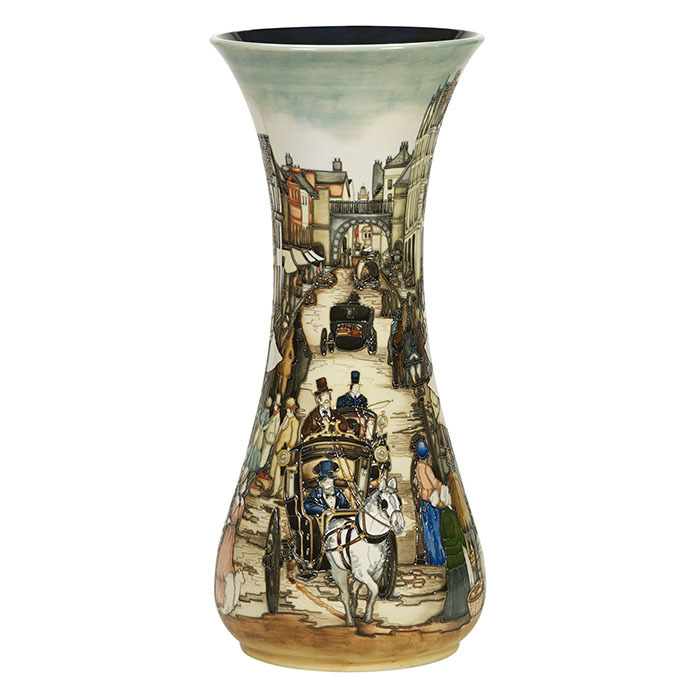 This design catapulted Paul into the world of Moorcroft, with collectors worldwide learning of his creativity. It soon became apparent that Paul’s design style is one of intricacy. 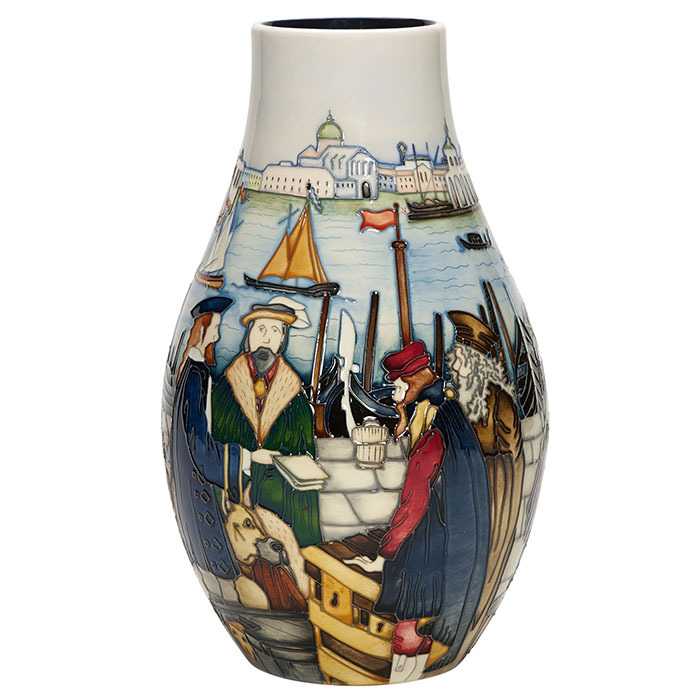 Paul may have been a Moorcroft painter for almost two decades, but he also has a great affinity with Moorcroft’s famous tube-lining, or slip-trailing, process, and the majority of his designs are easily recognisable as the surface of each is covered in fine raised tubelining, decorating almost every surface. Paul has a natural ability to relay pictorial scenes in an intriguing and inviting way, and thoroughly enjoys researching in great detail images of bygone eras, whether it be trains, planes and automobiles, or historical figures such as Charles Dickens, the merchants of ancient Venice or the fashionable ladies of 1920s New York. Many such designs are epic in scale, causing collectors all over the world to look forward to more such offering as the years unfold.